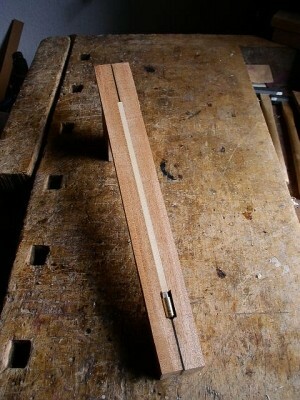 For the body binding I use mahogany, ebony and maple. 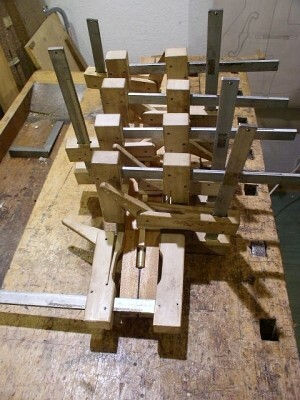 ... these are arranged, glued and clamped under not inconsiderable pressure. 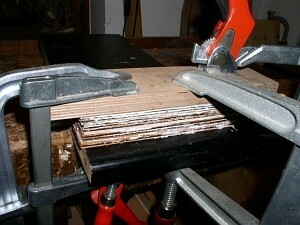 24 hours later, remove the clamps and plane the sides rectangular. 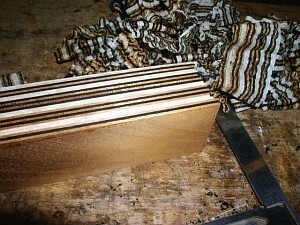 The block is put aside to dry thoroughly. 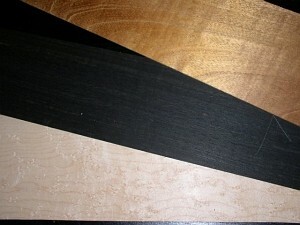 Meanwhile you can turn to other things. 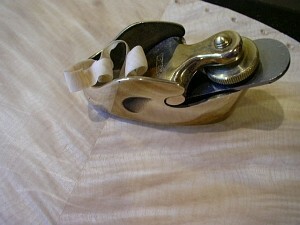 ... just remove the projecting material. 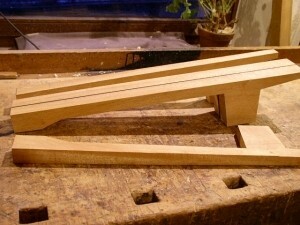 ... then you carve the wood with radius planes of decreasing sizes. 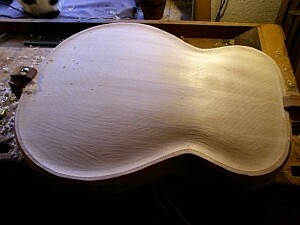 After cutting the recurve the arch comes out. 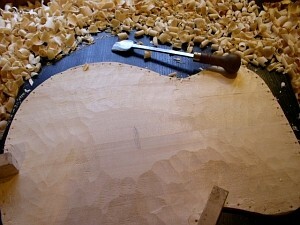 The back plate is handled analogous to the carving of the top. 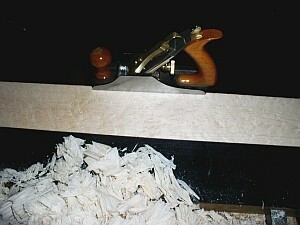 Sawing the width of the neck. 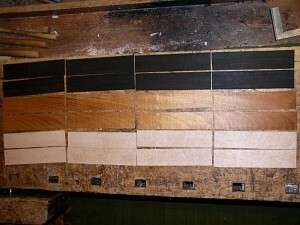 The leftovers will be used for a following guitar neck. 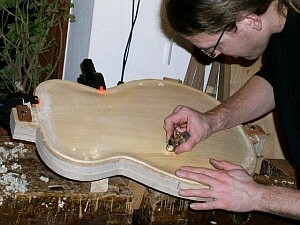 To reduce the weight of the neck the trus rod groove is closed with spruce.